A few summers ago while in graduate school at the University at Buffalo, I was lucky enough to be accepted into a study abroad program that allowed me to spend an entire summer studying architecture in Barcelona, Spain. I took a course which comprehensively explored the evolution of the city in terms of its urban planning and architecture. It was a great class. 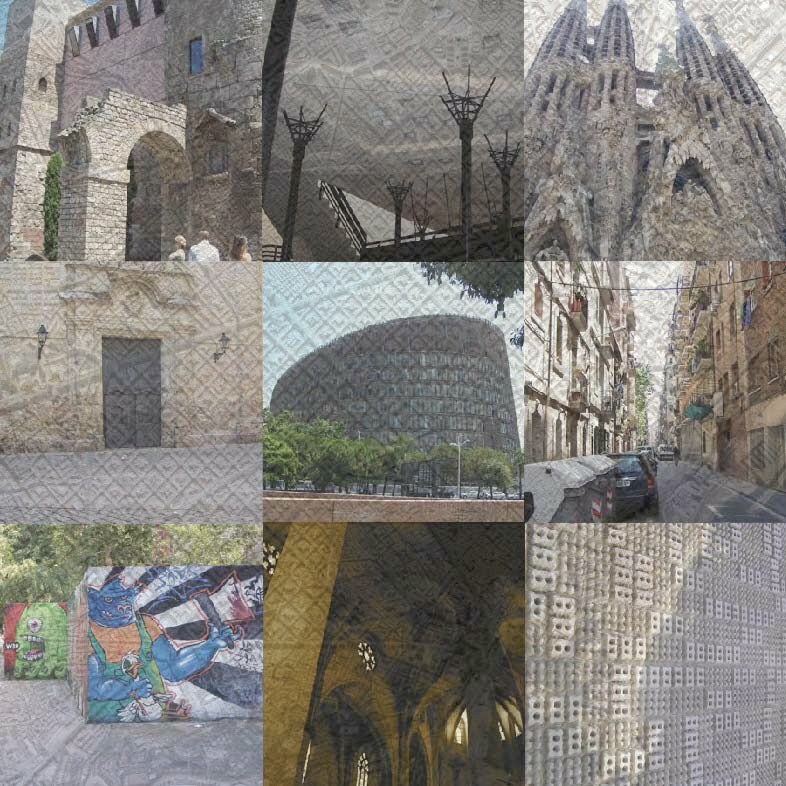 I came away from the course knowing more about Barcelona than I did about my hometown. I also came away with a slight sense of jealousy; I was jealous that Barcelona and other European cities had so much historical wealth inherent to there built environment compared to American cities. I was amazed when I visited Rome that I could stand next to the ruins of a Roman aqueduct, which stood next to a gothic cathedral, which was across from buildings constructed in the 21st century. So many periods of time existed within the same moment. I left Barcelona and returned to Buffalo resigned to the fact that this was just the way it is. The United States of America is such a young county that it could never compete with Europe in terms of architectural historical significance. And while I still believe this is true to a certain extent, I also now realize that it is not fair to compare Europe and America in terms of its architecture and urban planning. We are just too different. Once I realized this, I began to look at the evolution of American cities differently. I began to see America’s architectural and urban history less as a continuation of European history and more as a new beginning. It is through this context that I began to see abandoned factories, broken windows, rusting equipment, remnants of a once healthy industrial sector (prevalent throughout Buffalo) not as some sort of failure, but as new American ruins: something to be celebrated. Rome rose to power, declined and left ruins of its once great society, so too has American industry. In Buffalo the grain elevator is the most famous example of this. A grain elevator, if you don’t know, is basically an automated grain storage building. Before automation, people had to scoop grain from ship to bin. Automation made moving the grain easier and faster which enabled the buildings to grow bigger and bigger. Eventually they ended up becoming a cluster of massive concrete tubes stacked together. They’re unique size and shape became the personification of the modern architecture movement and its “form follows function” ethos. Today most of these structures are left abandoned and, unless something changes, they’ll be demolished. The idea that grain elevators, steel mills, and other relics of our American industrial past may someday be gone saddens me. These structures represent an important and unique moment in our country’s urban architectural history. They are in a way a representation of an ancient society, something that was once great, but disappeared and will never be back again. The only things we have left are the structures they inhabited, temples to American industry; but unlike Europe, our temples are not buried under years of sand and dirt. They are still clearly visible and because of this we have an opportunity to preserve and celebrate them in a way Europe never was able too. Through adaptive reuse and preservation we can reintegrate these structures back into our daily lives. We can redesign their use and reintroduce them to the public. Industry and the infrastructure it spawned were so important to so many “rust belt” cites like Johnstown, Pennsylvania that to not reintegrate them would be to lose massive portions of the physical city, not to mention the loss of culture, history and identity that would be erased as well. 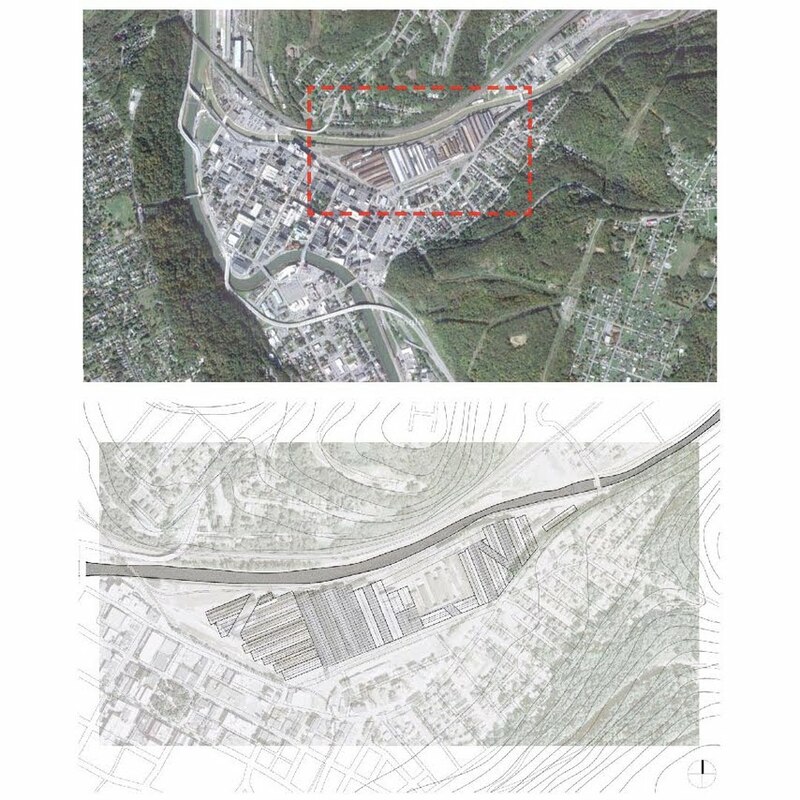 This reintegration is possible and there are many examples of the adaptive reuse of industrial structures. 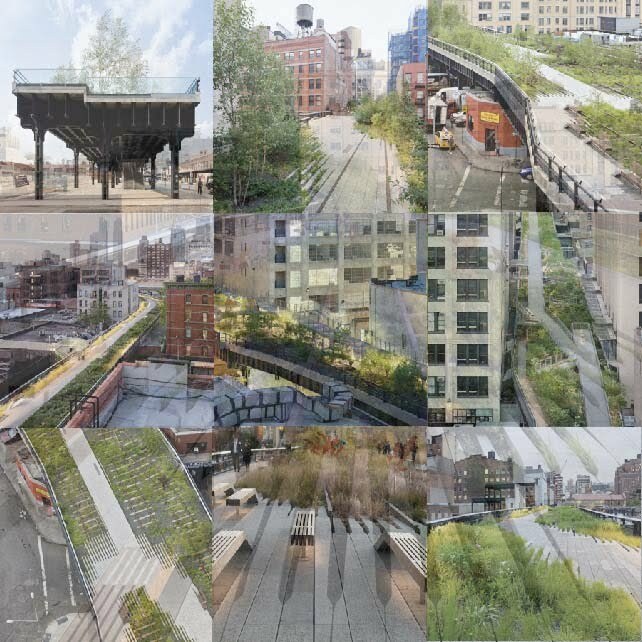 A famous and more recent example is the Highline in New York. This however is just one example; the possibilities are endless. The point is that we have available to us ruins of our industrial past in America. These ruins represent an important part of our country’s history and are elemental to the cities in which they were built. Finally, the type of construction of these relics is so unique that it will probably never be repeated and therefore represents an architectural style that, if lost, will be gone forever. Unlike Europe, we have the ability to preserve and reintegrate these ruins back into our lives, to revive them and to celebrate them not as a part of our countries past, but of our present and future.